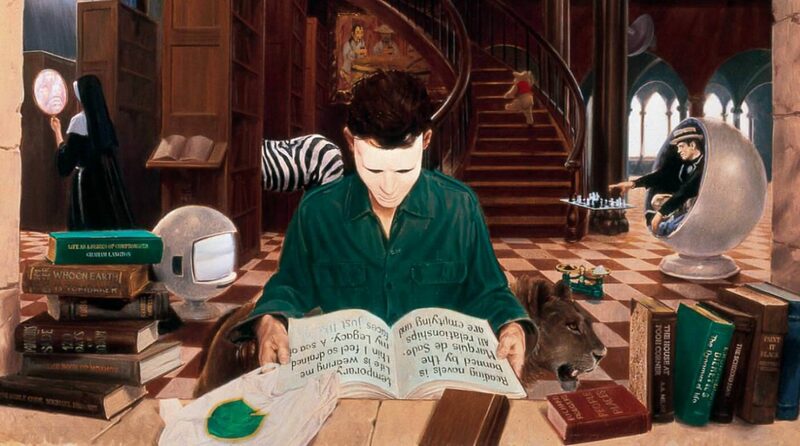 A shockingly long time ago I reviewed Patricia McKillip’s The Book of Atrix Wolfe and idly mentioned that she’d also written the Riddle-Master series which I wanted to revisit. Well, at long last I have, and coming back to it kind of reminded me why it took me a while to come back to it in the first place: it starts really staggeringly well, but loses its way partway through. To give the trilogy some context, this was one of McKillip’s earlier works – she’d had a few standalone books emerging prior to this, but this was the first series she attempted – and based on the blurbs on the back of my copies it seems like her publishers were very keen to market her as being a bit like Ursula Le Guin (and to be fair, stylistically McKillip seems to have been only too pleased to play up to that). The series has had one-volume compilations come out under various titles over the years – Riddle of Stars, Quest of Riddlemasters, The Quest of the Riddlemaster, and Riddle-Master – but most compilations these days seem to follow the lead of the Fantasy Masterworks series in calling it The Riddle-Master’s Game. The trilogy unfolds in a realm where the monarchs of the various kingdoms and principalities owe their position in life to the mysterious High One, who governs their mystic connection to their lands from his solitude in Erlenstar Mountain. In the kings and queens of large, powerful nations, this so-called land-right manifests in potent magical abilities – such as taking the form of the animals or trees of their land, or having the ability to see wherever they desire to see. But in Morgon, Prince and ruler of the tiny island of Hed, it merely means he is deeply on touch, on a personal level, with the peace that has reigned in Hed for centuries, which in Morgon’s case suits his pacifistic nature. 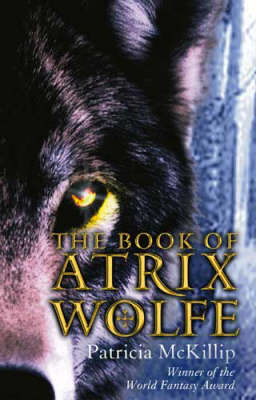 In theory, The Book of Atrix Wolfe is Patricia McKillip’s second book for young adults. However, it was nominated for the Mythopoeic Fantasy Award for Adult Literature, and in many respects it’s not really much different from the other McKillip I’ve read, the Riddle-Master’s Game series (which I should really go back and finish at some point). It is possible that McKillip doesn’t really set out to write for a young adult audience, but her books just happen to match the profile of young adut fantasy as that genre has developed: they tend to be less than 300 pages long, often involve young adult characters in a significant role, and nobody gets raped. The premise of The Book of Atrix Wolfe is established in the prologue: Atrix Wolfe, the greatest wizard of his day, finds himself compelled to break the ancient code of the magicians and intervene to disperse the forces besieging the King of Pelucia, the leader of the invading forces having no intention of backing down and declaring his goal of invading Chaumenard, the land of the magicians, once he has dealt with Pelucia. The angered Wolfe responds by creating the Hunter, a terrifying rider with the new Moon in his horns, who in the ensuing carnage routs the invaders but slays many of the defenders as well, including the King of Pelucia. Unbeknownst to him, Wolfe’s magic has had a strange effect on the otherworldly fairy inhabitants of the nearby forest, and the Queen of the Wood’s daughter, Saro, is transported to the mortal world and rendered mute and amnesiac.